Last week I took a dive into creating my own Jedi Career for use with the Fantasy Flight Games Edge of the Empire system. I talked about the concepts, the specializations, and the skills I chose for each facet of the Jedi; Guardians, Consulars, and Sentinels. It looks good, and a week later I'm still happy with the skills they start with. This week I talk about the next step; selection and placement of the Talents and mapping out the Talent Tree. It's been quite a puzzle. Every specialization in Edge of the Empire, (at least, for the Beta) has a list of 20 talents to draw from. Arranged in a 4-column, 5-row grid, each talent is connected by a series of lines linking them together. Starting at any of the four talents in the top row, characters can purchase any talent linked to one they have purchased. Some talents link to only one other talent. Some link to four. Some links go down the chart to more expensive talents, others go across or even back up the chart towards the top. Talent selection for the three Jedi Specializations was a three-part process. The first part was to decide what talents each specialization should have access too. A sub-step of that was to decide if there were any talents that needed to be custom-created, or borrowed from other folks' homebrewed custom talents. The second step was to try and figure out where each talent should be placed within the 20-space grid. Should a talent cost 20xp to buy it? Should it cost 10? 15? The last step is mapping out the Talent Tree, and trying to balance talent placement with how much the talent actually costs to acquire. Some talents are a straight shot down the tree; 5xp to 10xp to 15 to 20 to 25. Some talents are mapped to take a more zig-zag route, sometimes requiring the character to move laterally in a row to pick up a talent. 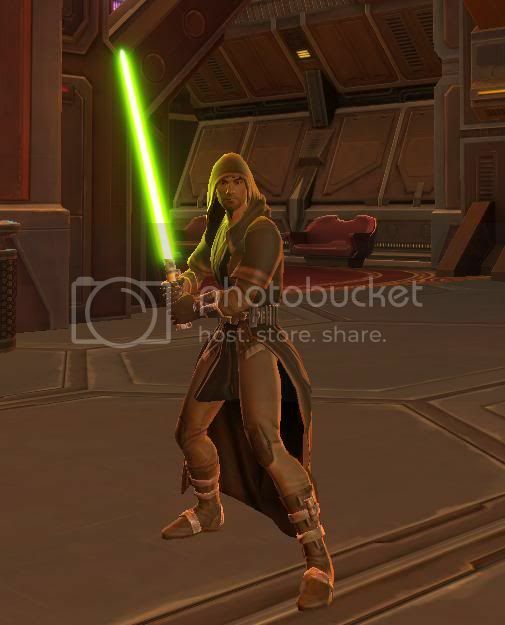 Let's start with the Jedi Guardian specialization. 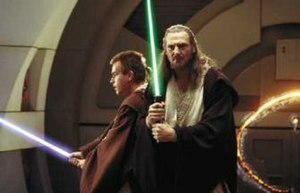 My concept for the Jedi Guardian is that they are front-line warriors, good with combat in general. They are also leaders, able to get the most out of their allies. When I first went through the Edge of the Empire Beta book, I just grabbed a wish list of every talent that would make sense for a Guardian to have. I ended up with 22 talents, much more than the 20-space limit I have, and that doesn't include custom talents nor space for talents that can be taken twice. After several passes, I whittled the list down to sixteen. Did a Guardian really need Side-Step and Dodge? Field Commander? Intense Focus? I even went back and added in some talents I initially passed by. Thanks to discussion on the D20 Forums, I added Jump Up to the Guardian list. I initially felt it was a highly situational talent, and it is, but it does make sense to have in case you roll a bunch of Threat in your attack roll, and your opponent decides to spend it to knock your Jedi prone. So I've got my 20 talents, and mapped them out. Running from Jump Up and Uncanny Reactions up to Deflect Blasters, Touch of Fate, and Force Rating, with a lot of crunchy goodness in between. We'll see if it sticks around, and in the same order, after some folks with a head for balance get a look at it. A community to die for...or die six. ﻿ If there's one thing I like about custom game design, it's the collaboration that can come from being involved in a creative, supportive community. Thankfully, such a group resides within the ethereal realm of the D20 Radio Forums. Being able to bounce around ideas of how to get things to work in game is highly handy. I have to imagine that this is done the exact same way with a team of developers making a new game, or game supplement, but I really enjoy the collaborative process and the product that comes with it. The ability to draw on the creativity and get the input I need to balance out the class will be invaluable. I hope to have a few folks from the community give it a once over as an Alpha test, and then share it with the entire D20 Radio forums for their input. Likely there will be more revision after these presentations. It's funny; it's sometimes hard to remember that feedback and criticism are good things. I'm not going to get this right on my first try, and the people I ask for their views on are trying to make the creation work in a balanced, fun manner. They want to see it succeed, too. Another humorous aspect I've encountered is that, during the course of writing this post, I've made a couple changes to talent selection and placement in my Talent Trees. I'll start typing about something in the design, take a long look at the work I've done, and make a change. Generally, the changes are for the better. Well see where it goes next week. Not sure if I'll be writing about the Jedi Career or something else I've got bubbling away, but I'll be back. Gotta keep the streak of posts going, and go for "four". Here I am writing for my blog, just like I said I would last week. Good intentions and all that survive the first week! Pop the corks and pass the glasses! Today we're going back to the Edge of the galaxy, and talking about some custom creations that folks are working on out there in the Gamer Nation. Talking about Edge of the Empire here; anyone who's been following the game's progress (or read my last blog post) knows that the game takes place in an era of Star Wars where the Jedi...well, they aren't around. The Jedi were just about wiped out to a man, thanks to the rise of the Empire. There are a handful of Jedi still in the galaxy at this time (two, if you're a purist who only acknowledges the movies). Because of this narrow focus to the game the only Force-Users we see for Player Character options is a talent tree devoted to the "Force Sensitive Exile" and three Force Powers: Sense, Influence, and Move. So the game gives you the chance to be a Force User, but a wicked under-powered one*. Several folks over on the D20 Radio Boards are in the process of writing up their own version of Jedi; trying to develop their own take on a Jedi Career (or at least a specialization). Some are focusing on the character who wishes to become a Jedi, and either finds a master or some other way to unlock the lost secrets of the Jedi Order. This is exemplified by a poster named "Awayputurwpn", and his "Jedi Novice" talent tree. Former SAGA Developer Jonathan Stevens is working on his own rules set, but has kept it under wraps. No idea what his focus is on. Many other posters have been kicking around options for Deflecting Blasters, and Redirecting Shots. Questions on how to replicate Force Speed and Force Jump have also cropped up, and sparked some debate over whether they should be Talents (and incorporated into Career Specialization trees) or represented by a Force Power (effectively giving it it's own tree). While I wait for "Dono" to release his work-in-progress, I've decided to dust off the cogs of creativity in my cranium and get some ideas on Jedi and Force Use down on paper. Or at least computer screen, such as it is. After taking in the Gamer Nation's views, creations, and commentary on potential Jedi in the Edge of the Empire rule-set, my first task is to find a place to start. Am I making a specific talent tree? Am I making a Force power? Am I doing a whole talent tree? I feel the best place to start is to begin at the beginning. I want to use Edge of the Empire rules to tell my Star Wars stories, but my storyline is bigger than "Fringers in the Outer Rim during the Rebellion Era". The rules as written for Force-users is inadequate to my needs. I need a full-blown "Jedi Career". Starting with that, I have to look at what makes a Career. Currently in the Beta Rules Set, Careers are Star Wars Archetypes; Bounty Hunters, Colonists, Hired Guns, Smugglers, Technicians, and Explorers. Looking over my roles, Jedi are just that; Jedi. There's my career, I'll build from there. Under each career are three specializations. These specializations further define what your character's career focus is at game-start; Doctors heal the injured and sick, Pilots are great with speeders and starships, Mercenary Commanders excel at leading small squads, Assassins are good at killing people. Your specialization helps to define your character's role, and can contribute to your personality and style. A Bounty Hunter who specializes in Gadgettering is likely to have a much different outlook than one who specializes as an Assassin. But maybe not, that's the fun of playing a PC; being extraordinary. As I think about a Jedi Career, this "specialization" step has already been done for me. 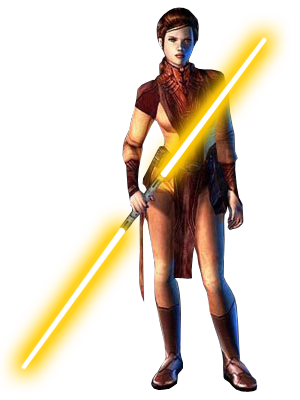 Since the release of the original Knights of the Old Republic video game, there have been three basic "Jedi Classes" that keep popping up; Guardians, Consulars, and Sentinels. 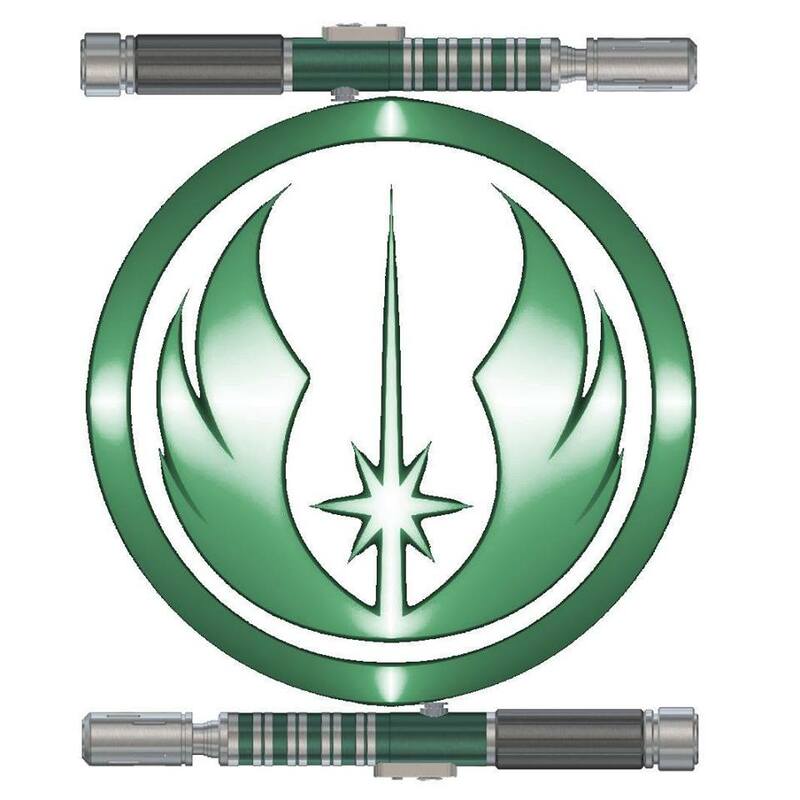 Guardians are the noble fighters, the ones best trained in combat and being a martial symbol of the Jedi Order. Consulars are the mediators, the negotiators. They are also the ones who tend to specialize in unlocking the greater mysteries of the Force. The Sentinels are the investigators, the hunters of Sith lore, and the clandestine protectors of the Order. Sounds like three distinct specializations to me. Now that I've got my specializations, it's time to start writing in the details. Each Career has eight skills that are "Career Skills"; skills that are keyed to your chosen path and can be improved a lot easier than non-career skills (i.e. lower XP Cost). Looking over the list of skills, I'm looking for Skill options that every Jedi should have access too. Athletics; because Jedi of all types are seen as physically healthy and capable. Cool; being emotionally centered and maintaining their calm are hallmarks of your typical Jedi. Also used for occasional initiative rolls. Coordination; linked to Athletics, many Jedi seem to have good balance and grace. Discipline; almost required, as this is the skill most often linked to Force use (or Force resistance) and Fear checks. Lightsaber; a new Skill that works like Melee, but focuses on the special training needed to wield a weapon that you could very easily lop your own extremity off with. Perception; because an unaware Jedi is a dead Jedi. Plus the Force can help out greatly in this regard. Resilience; a Jedi needs to have boundless energy and recuperative ability, because the Galaxy seems to need him 27 hours a day. Vigilance; the more-often-used initiative skill, and another skill often linked to Force use. This lit offers a pretty good baseline for the average Jedi hero. It's a lot of good combat and action skills, sort of a cherry-picked list between Hired Guns and Smugglers. I feel these skills are necessary for the average Jedi to have access too, and help represent his upbringing within the Jedi Order. Guardians: More martial than other Jedi, Guardians add Brawl and Lightsaber to their skill lists. Guardians don't always use their lightsaber for every situation, but when they do they tend to be a bit more skilled with it than purely Consulars or Sentinels. Guardians also tend to have commanding personalities, and can motivate others to great acts, so I added Leadership. Finally, there are many Jedi Guardians who are portrayed as good pilots, so I selected Pilot (Space) as their fourth skill option. Consulars: With more of a focus on knowledge and diplomacy, the Consular skill list gives options to help the character in more social challenges than Guardians and Sentinels. Consulars get Negotiate as a skill choice, to reflect that they have great ability at mediation. Knowledge (Education) gives them a basic understanding of the galaxy and the sciences, as well as how to interact with government entities. Some Consulars are great healers, and many have at least a basic understanding of Medicine. Finally, Consulars have always explored the greater mysteries of the Force, so Discipline is added as a skill option to allow a starting Consular to have 2 Rank choices in that skill. Sentinels: These Jedi don't always solve problems with the Force, and tend to be more well-rounded in the skill choice department. These Jedi work in the shadows, and build contacts to help in their investigations. Stealth is a necessary component to their chosen mission style, and Computers and Skulduggery help the Sentinel gain access to places where subtlety is needed. Finally, Knowledge (Streetwise) gives the Jedi insight and contacts in the far-flung corners of the Galaxy. It took me some time to whittle down the skill list for each of these four steps. The next part, choosing talents for each Specialization's Talent Tree, is turning out to be another complex puzzle. The talents in the books provide a good base to start from. My first pass at a "wish list" for the Jedi Guardian left me with 23 talents to choose from, and that wasn't including the few home-brewed talents I wanted to include. Considering the talent trees only allow for twenty talents, and a few of them appear more than once (since their effects increase each time purchased), I have some talent-pruning to do. I'll share the talents I'm considering for each specialization and the reasoning for them in my next post. After that, it's on to figuring out the Talent Tree, and when you can buy each talent. Maybe somewhere in there I'll take a break to talk about Force Powers I'm working on, or NPC abilities, or costume work**. ** Sweet christmas, I need to get some progress done on a costume; either a new one or my Jedi Shadow. Feh. I look at this dust-covered blog and think "wow, you're a slacker. You haven't posted since July." To be fair, my life has been something of an anarchic ball of chaos these past six months. Buying a home takes a lot out of you, and if you work in mortgages in this time of low prices and lower rates, you get drained a lot due to volume of work. You seek diversions more, and creativity less. I haven't written much for any table-top game, for the Gamer Security Agency, nor have I worked on any costume in the last half of 2012. Changes have happened, my life is starting to stabilize, and there are some exciting developments coming down the pipeline. Let's start with the gaming, shall we? 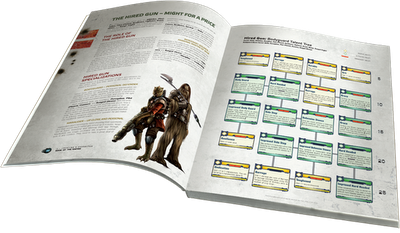 Back in August, it was announced a GenCon that not only was Fantasy Flight Games working on a new Star Wars RPG, but they actually had a Beta Book available for purchase at the con. The concept of a "Beta" game book for a table-top RPG was new to me, but as I look back on it, it makes sense. Why have a limited playtest group of a hundred players when you can release a beta ruleset and get thousands of folks playing and giving feedback. Paizo's done it with Pathfinder, Evil Hat is doing it with their FATE ruleset, so it's a brilliant move for FFG to do it with Edge of the Empire. I originally balked at the game and the system for two reasons. First, the game has a very narrow focus. Its designed for running games for characters living on the fringe of society in the Outer Rim, during the Rebellion Era. The system mechanics are very bent towards Obligations (debts to enities & organizations, duty, addictions, family, etc.) and the periphery of the Rebellion Era, and has very little for Force Users or pure Rebellion characters. Makes sense, because the next two books are Age of Rebellion and Force & Destiny. The problem is these next two "Core books" are due out in 2014 and 2015 respectively. I have to wait until 2015 for a more in-depth ruleset for Force Users and Jedi? Pass! The second reason I was resistant to change was that I am a fan of SAGA Edition. Its the game that got me involved with the d20 Radio network, which lead to my involvement with podcasting for All-STOP and the Holocron 2.0. It's what started me doing the Fragments from the Rim segment on the Order 66 podcast, and led me to start this blog. I've got a lot of nostalgia wrapped up in SAGA Edition, which likely made me hyper-sensitive to anything in Edge that didn't come close to fulfilling the depth of crunchy material that SAGA has. When I went to Star Wars Celebration VI, FFG was there with their X-Wing game and with a stack of Edge of the Empire BETA rulebooks. I decided to drop my $30 and give it a shot. I should at least read through it because Chris and Dave on the Order 66 Podcast were raving about it. What little I read got confusing (11 pages just on the dice mechanic?) and discouraging (Yup, no Jedi! Argh!). With the chaos of my home-life, it was easy to put Edge asside and focus on other things for a few months. Then in November the Order 66 Podcast announces they're changing formats from SAGA to FFG's system, and I have a conundrum. "Do I keep doing Fragments from the Rim for the Order 66 guys? Do I branch it off for something else? Do I let it go?" I had already lost a podcast when Fiddleback decided to stop playing The Old Republic, so I was about to lose my "radio presence" entirely if I didn't change too. Plus there was something about Edge of the Empire that stirred within me, something that reminded me of the games I played way back in the day, when I first started gaming with the West End Games era of Star Wars RPGs. I picked up Edge of the Empire again and forced myself to read it, and try to understand it. After 200 pages (and an additional 12 pages from eleven weeks of Beta Rules updates), I found myself liking the system. Yes, it's fringe Star Wars (Some would say it's "Firefly Star Wars" but screw you guys. The show lasted 13 episodes and a movie. It's never coming back. Get over it. ), but fringe Star Wars is where it all began, wasn't it? Looking back, how many of you played in a Star Wars campaign where you were all Han Solo types, freebooting around the Outer Rim refusing to join the Rebellion but sticking it to the Imperials every chance you got? I don't think you can say you played Star Wars until you've played a game or two in that theme. Everyone's played it, so it makes sense to start a new game there, with something familiar. The nostalgia for SAGA was slowly transformed into a nostalgia for Star Wars gaming as a whole, and the Edge of the Empire captured that for me. It's also shinny and new, taking Star Wars gaming from a more tactical-heavy RPG to a more free-form narrative-heavy/map-light game. I look at Edge of the Empire and I'm amazed how easy it would be to adapt a game session to the players going "off the rails". I can eyeball NPC stats a lot better, and even make them up completely on the fly. Creating NPCs themselves are more organic, less formulaic; I can simply say "I want this NPC to have these skills, these stats, and these abilities". It doesn't matter if a PC couldn't do it, it's an NPC, they shouldn't follow the same rules as PC Character building. Yes, I could do that with SAGA, sure. But I don't know; something about SAGA compeled me to make NPCs "the right way", to follow the same rules and progressions as Player Characters. Giving them an extra feat or talent felt like cheating somehow. I like how I can make the NPCs do what I need them to do in Edge, without causing their defenses, hit points, or other stats to change dramatically beyond what the PCs can handle. So I'm working on Edge of the Empire, and getting involved with the Gamer Nation on the d20 Radio boards with home-brewing rules. Specifically, I'm eager to help brew rules for Jedi; because I sure as hell am not waiting until 2015 for Jedi PCs, not if I am now leaning towards using FFG's system for my "Another Longshot" campaign. This transition from SAGA Edition to Edge of the Empire means another slight change to the focus of my Order 66 segment. When I made the decision to switch to EotE, I also decided to make some changes to how I produce my Fragments segment for the show. Instead of the "persona" of Darth GM, and introduced by one of my "loyal minions", the segment is now introduced by a female bartender character, and my persona is one of a mysterious cantia patron named "Ji'em Fil". He's an explorer who seeks out and shares little secrets in the galaxy (and the game). He also may be Darth GM-in-hiding, but we'll see how that develops. The first installment was in Episode 2 of the new Order 66 podcast, and seemed to go over quite well. I'm looking forward to the next few episodes. The focus on the Fragments from the Rim segment has been to highlight one specific aspect of the game, be it a character ability, talent, or Force power. Sometimes I'd even do a segment on gamemaster aids, like music or props. I'm going to continue to do that for the Order 66 show, but it's going to be a little while before I can focus on the character talents and game mechanics choices of the system. Until then I'm digging through my old West End Games books looking for inspiration that can be used in the new EotE system. Back in September, Fiddleback and I recorded our last episode of The Holocron 2.0 podcast, our podcast for the d20 Radio network for Star Wars, The Old Republic. Fiddleback was ceasing his subscription, and was no longer interested in the game enough to keep playing, even given the Free-To-Play model the game was switching to in November. So once again I found myself without a podcast to host. 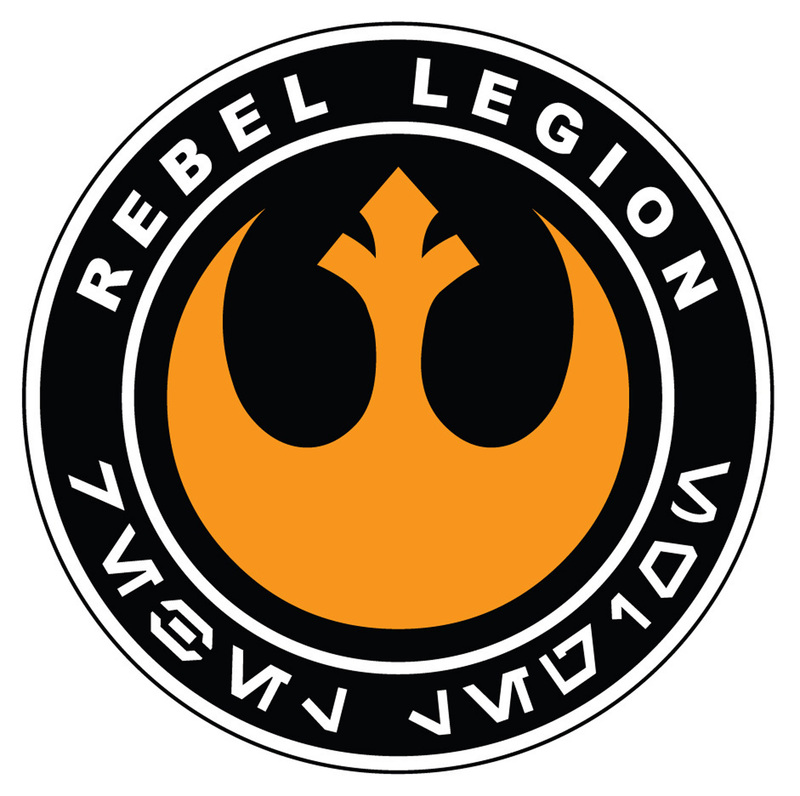 I took a few months off, and then was approached by my good friend Erich Schafer to co-host a new podcast for my other hobby (and focus for this blog); the Rebel Legion. The Rebel Legion has been wanting a podcast for some time now, and Erich thought I'd make a good co-host with him. We got the first podcast of All Wings Report In out the door at the beginning of January, and are currently in the process of lining up the next few shows. It's going to be a monthly moouthpiece for the Rebel Legion, but it won't just be for news of the Legion. We're going to have a variety of topics to talk about, including in-depth looks and discussions about the costumes in the Legion, adapting and acting in-character for the costume you're wearing, and hopefully interviews with Honorary Members of the Legion (i.e. Celebrities). It's good to be on the air again. Now to the subject of old habits; I have them. I cycle through interests like a juke-box. I have "Attention Deficit-...OH SHINNY!" disorder. How many months will I be updating here before I have another dead air period? Good question. So, in an effort to try and stick with this, I shall do my own version of Sterling Hershey's "Star Wars Wednesdays". My goal is to have something up on this blog every Thursday (simply because reading Sterling's blog should remind me to update my own.